It's hard to believe but we've been in this house just over two years now and there has been one small project that has been nagging me since Day 1. I'm excited to say that I finally got it checked off my list with help from our friends at Schlage Canada! 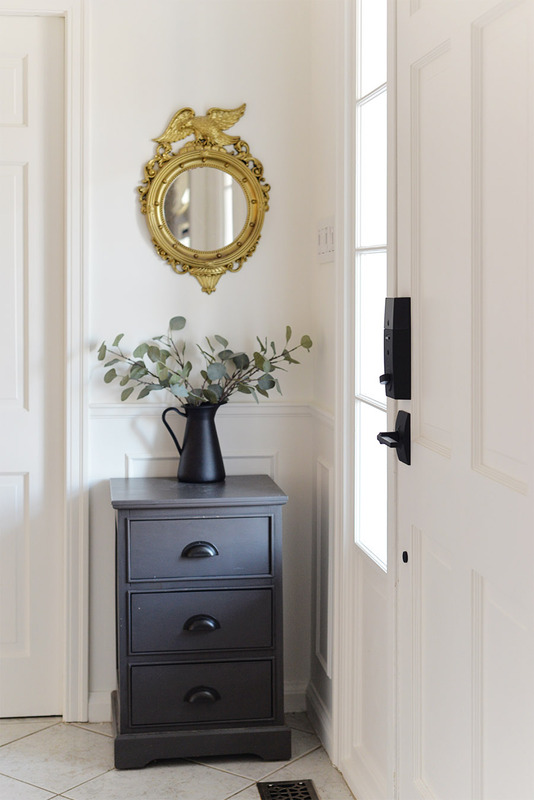 Bit by bit, our home is becoming a smart home and before I share all the details about our new smart lock with Wi-Fi (yay for keyless entry and remote monitoring! ), let's recap the winding road to get here. 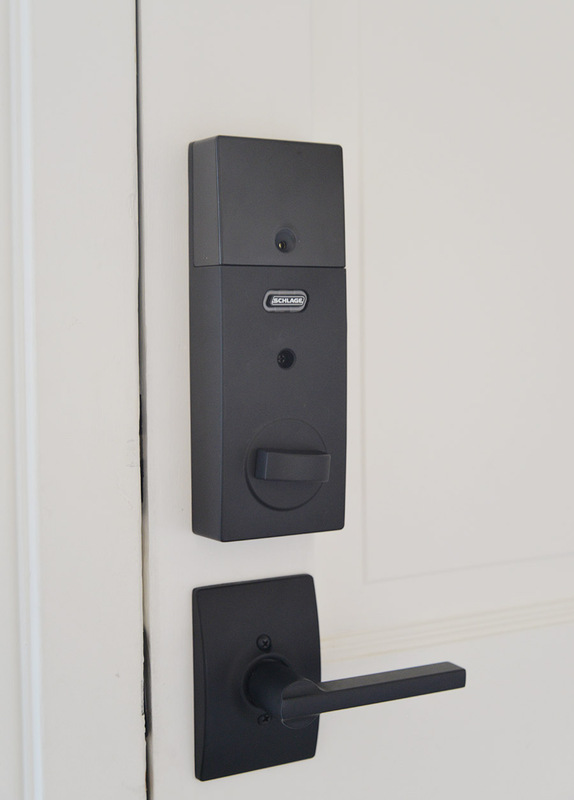 Definitely an improvement but one problem that remained was the existing Yale smart lock. It came with the house but within weeks, it started to fail on us. First the batteries started draining really fast to the point we were changing them almost monthly. Then the light up keypad stopped lighting up, though we could still punch in a code. Then the keypad stopped working altogether. And so we were left with a smart lock that didn't work and we were back to using keys to enter the house. I didn't like the brass finish and I really disliked how the keypad and entry handle were two different brass tones. All this to say, there were a multitude of reasons for us to replace the door lock! 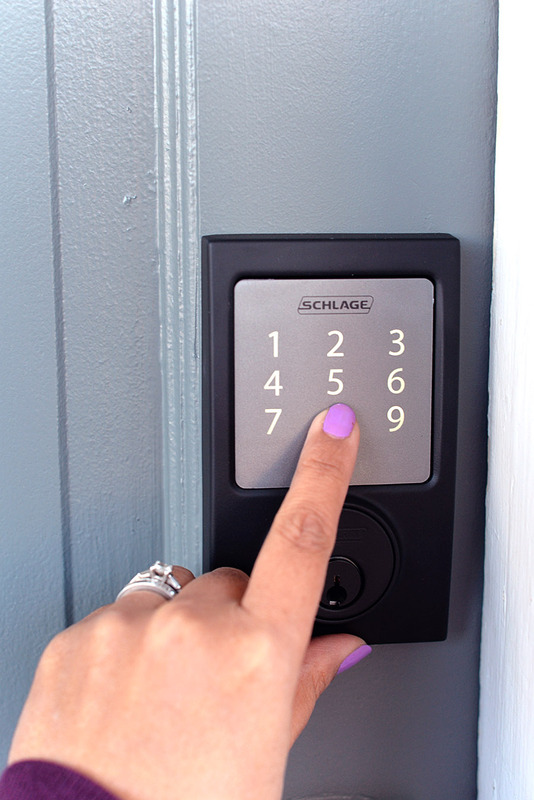 The folks at Schlage Canada kindly offered to help with our problem. 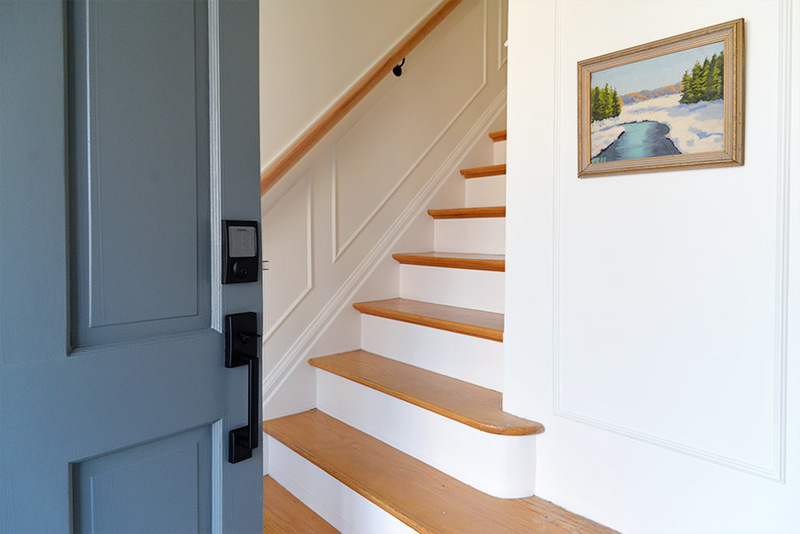 I used a Schlage Canada Broadway Lever handle in our basement craft room and was really pleased with the finish and quality so was eager to see what they had for this project. The first step was the remove the old keypad door lock and lever. Luckily, the new smart deadbolt and entry lever fit the old holes exactly so we wouldn't need to drill new ones. 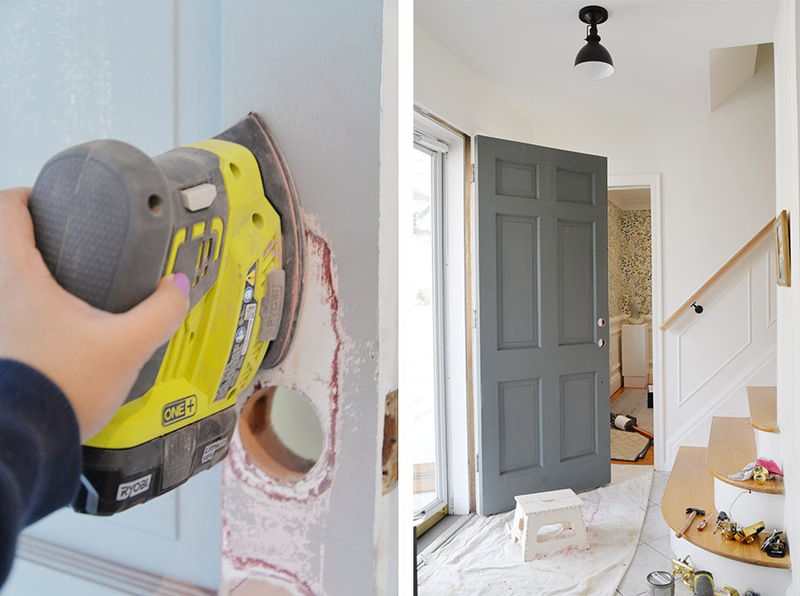 Since we were replacing the lock, I decided to take this opportunity to repaint the door as well. 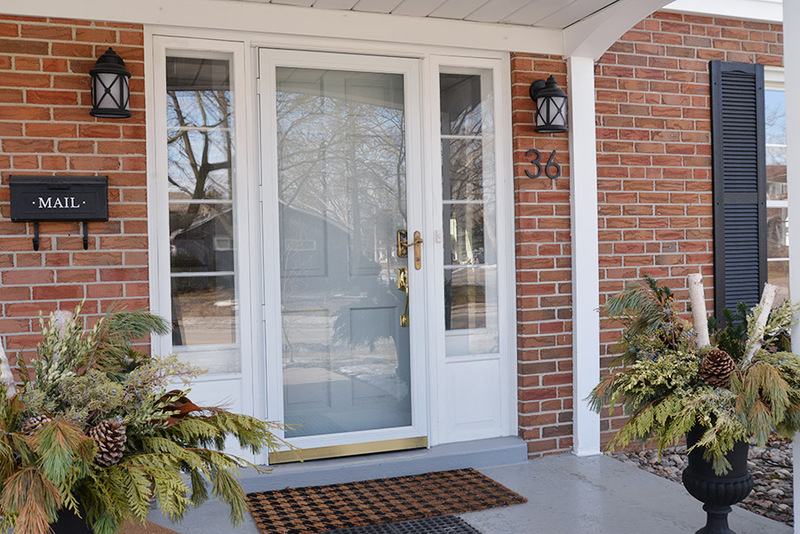 The soft grey blue (Wormwood by Sherwin Williams) was nice but I realized it didn't have enough contrast with the grey porch floor. 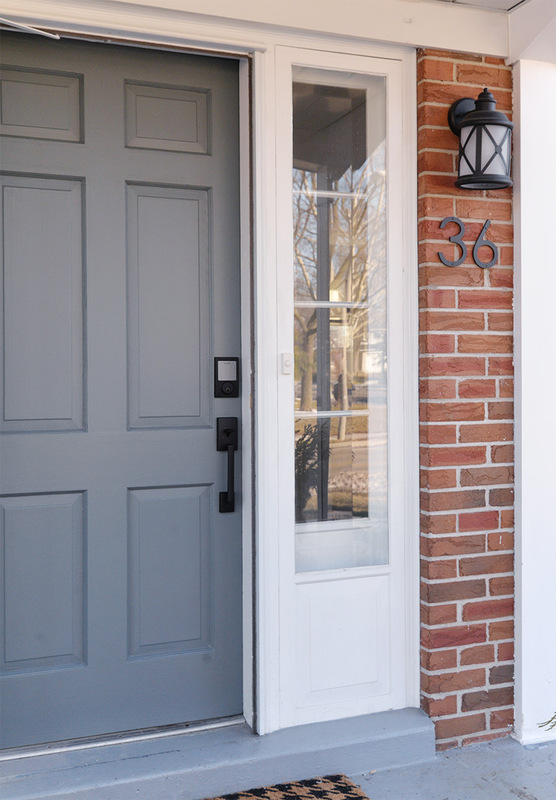 I wanted a colour that was a bit deeper and richer and settled on Homburg Grey by Sherwin Williams. I colour matched it in a Valspar exterior paint. I've never really used Valspar before and was really pleased with how smoothly this paint went on! And then came the fun part of installing the new hardware - and look how pretty it turned out!! 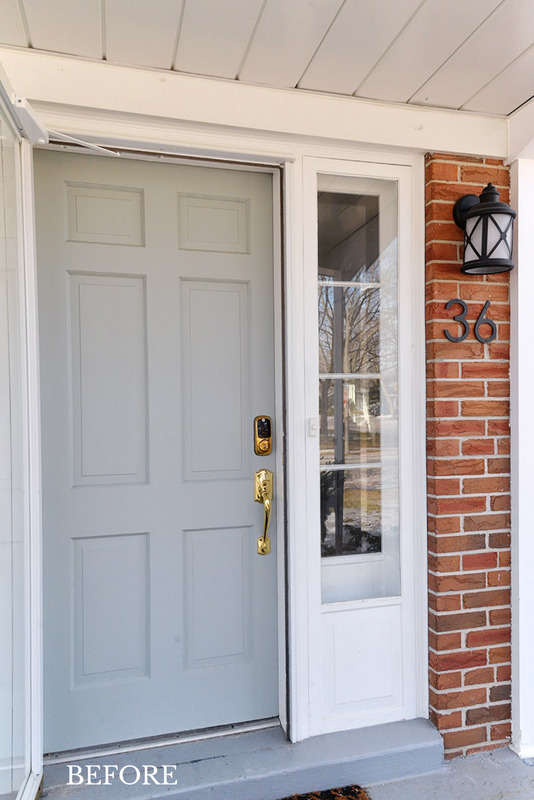 Sean installed the new Schlage Sense™ Smart Deadbolt first and then installed the Century Front Entry Handle and Latitude Lever. It was very quick and easy and the instructions included with the hardware were clear. Having never installed a door lock myself, I was expecting it to be a more difficult DIY project but it wasn't at all! You can also watch this video for a tutorial. 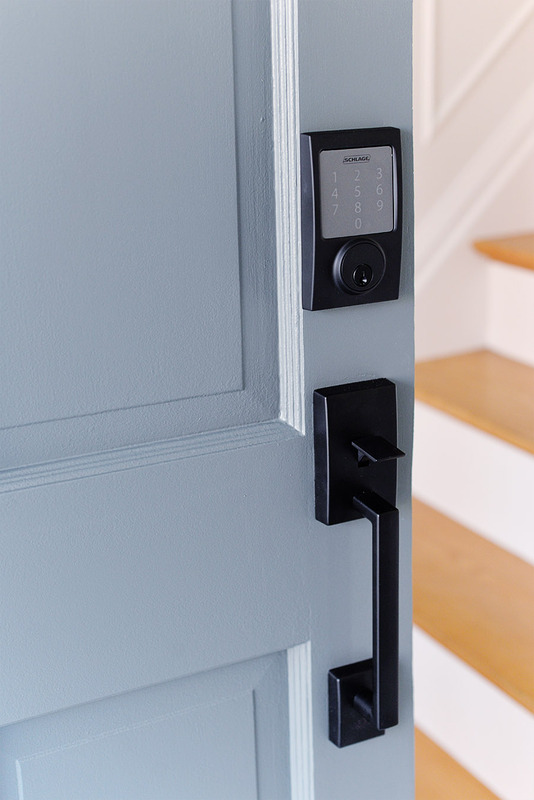 When picking a smart lock, consider both style and function. I really love how these two products look together. 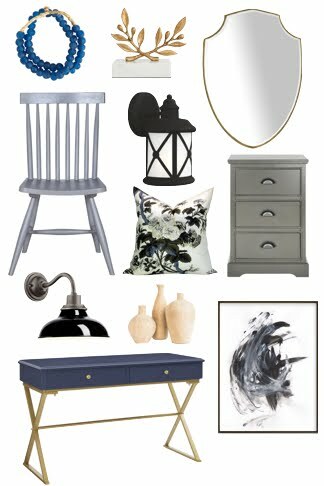 I picked the matte black finish so that the door handle would coordinate with our other black accents like the lighting on the ceiling, and the brackets on the stair hand rail. 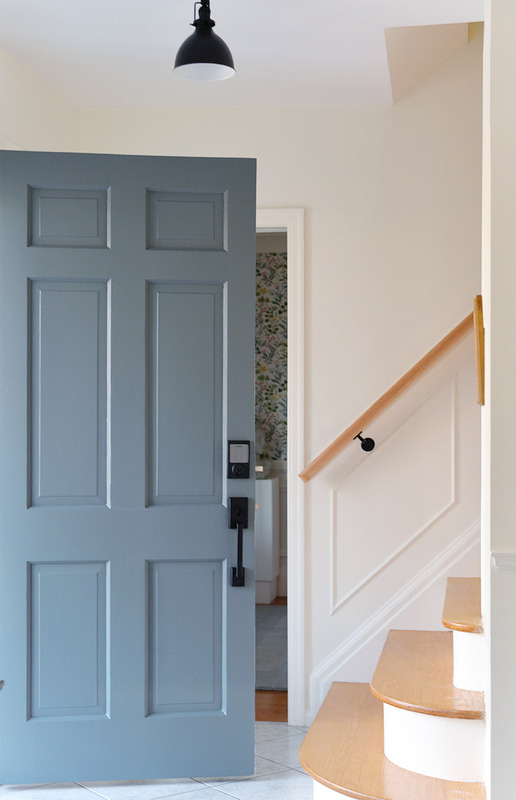 Did you notice that the colour of the front door also coordinates with the painting on the wall? It's little details like that that can really make your interior decorating shine. The door hardware looks just as good from the back. 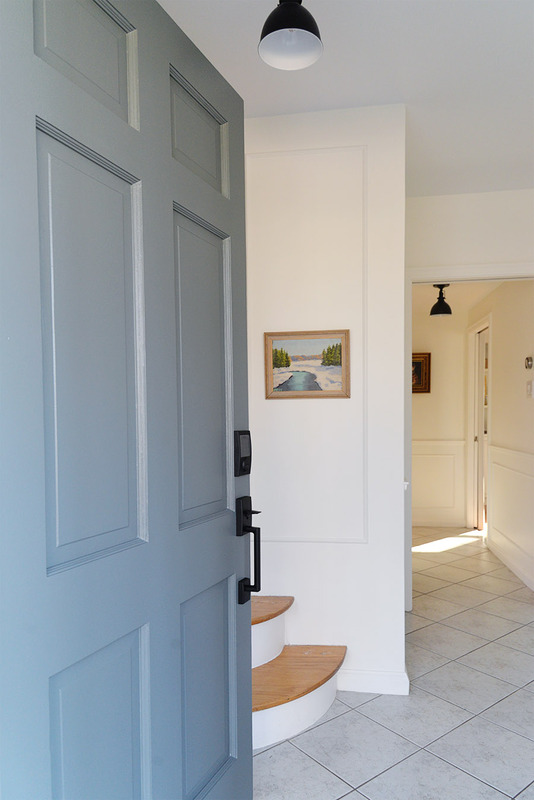 Since we have a narrow entry, I've kept the back of the door painted white (Simply White by Benjamin Moore) to blend with the rest of the main floor. The sharp lines and matte finish bring a modern touch to the more traditional moulding and trim work. You can put access codes on a schedule. For instance, if you want your dog walker only to have access at certain times, you can do that! 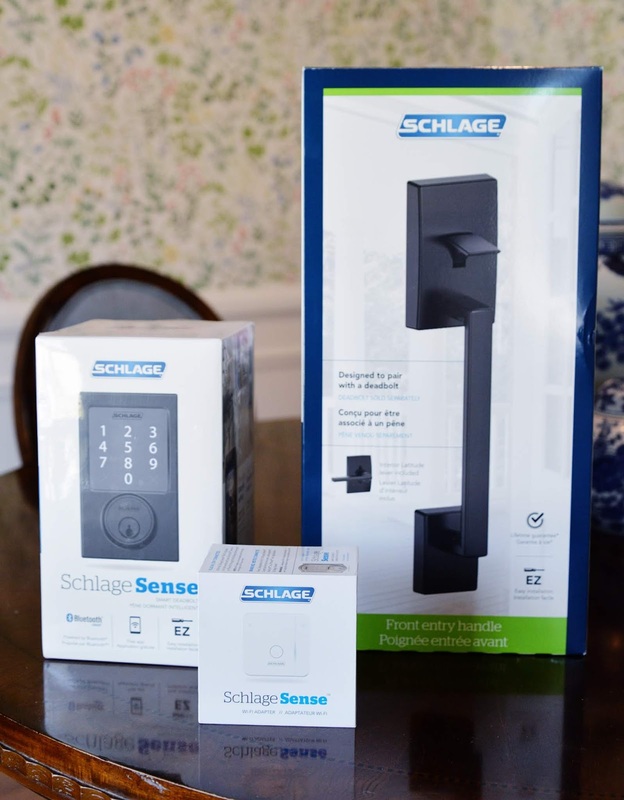 Last but not least, pairing the deadbolt with the Schlage Sense™ Wi-Fi Adapter also provides me the ability to check the lock and lock or unlock it remotely via my iPhone. I LOVE this feature. It will give me peace of mind when we're away at the cottage and I'm wondering "Did I lock the door???" 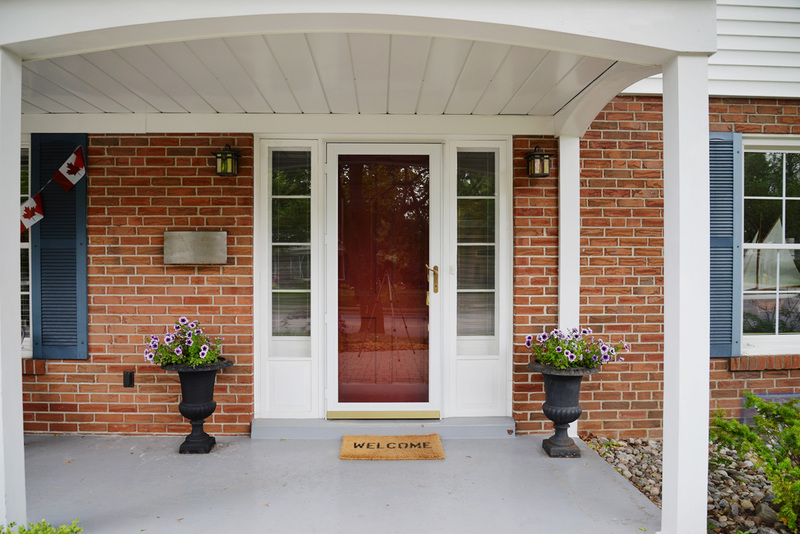 It took us a while to get here but I am finally completed satisfied with how this front door is looking and functioning. Feeling more safe and secure in your home is a wonderful thing. Tell me, have you brought any smart technology into your home? 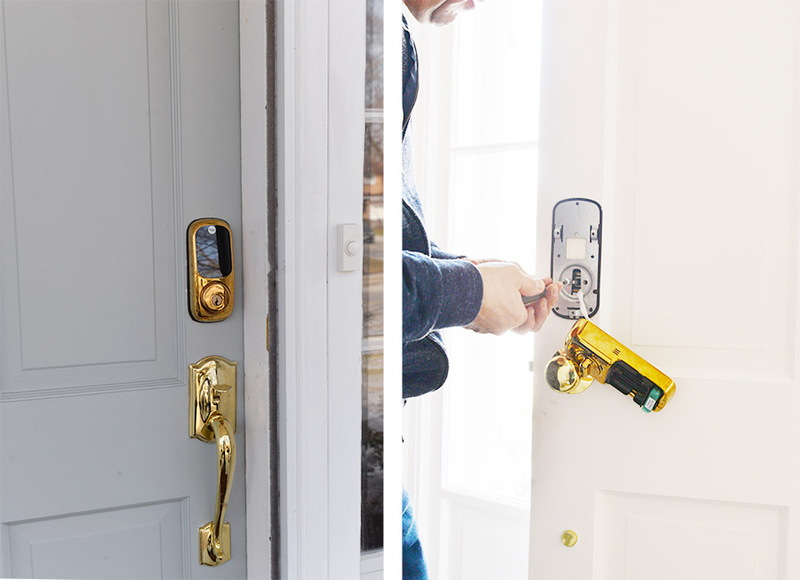 This post is sponsored by Schlage Canada. 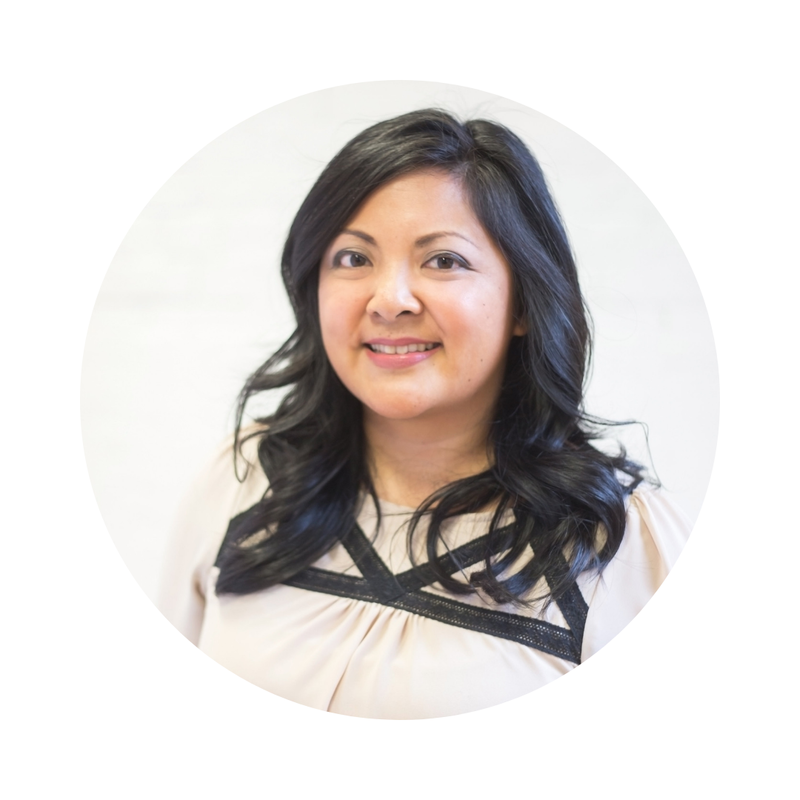 Thank you for supporting the brands who make this blog possible and whose quality products I bring into my own home.